The following is a slight revision of a talk by Howard Machtinger in Washington DC at the October 20-21 Conference: From Protest to Resistance: On the 50th Anniversary of the October 1967 March on the Pentagon. It is offered—not in expectation of agreement—but to provoke a serious discussion about the current state of antiwar politics. 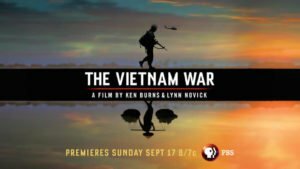 Burns and Novick in their PBS documentary: The Vietnam War could not ignore the antiwar movement, but exhibit little interest in its dynamics, except in its supposed hostility to American GIs. Since my interest still lies in how to build a more effective antiwar movement, I want to focus on the lessons learned and not learned by the Vietnam antiwar movement as a prelude to exploring how we might move forward to confront the multiple wars and threats of war that beset our world. Of course, there was not one unified antiwar movement, but a conglomeration of tendencies featuring contending critiques, strategies and tactics. What follows is an attempt at a succinct, dispassionate description of those tendencies, which no doubt risks over-simplification. I will look at three general perspectives. I will begin with a critique of tendencies with which I was associated. The first set of tendencies included the anti-imperialists, militants, and Marxist-Leninists. Members of these overlapping, but distinct groupings, all grasped the depth of the problem that the war in Vietnam exposed. The war was not a mistake or an aberration from the general direction of US global policy. Its goal was to dominate the world and, in this particular case, to gain a strategic foothold in mainland Asia. These movement tendencies recognized the need to do more and to widen the scope of protest. 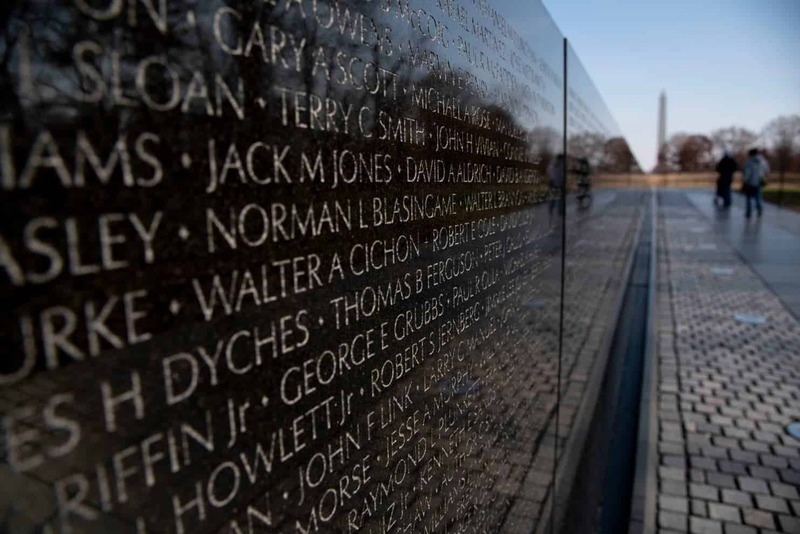 They also placed great importance in connecting to and humanizing the Vietnamese enemy, not merely viewing them as victims, but recognizing and honoring their capacity to resist. Too often, however, the connection remained abstract or turned romantic. Che’s invocation of “2, 3 many Vietnams” not only decontextualized Vietnamese resistance, but led people to ignore or downplay the incredible price paid for this resistance. In the 1980’s an uncritical anti-imperialism led to support for leaders who proved to be problematic such as Cayetano Carpio in El Salvador, Daniel Ortega in Nicaragua, and Robert Mugabe in Zimbabwe. One version of anti-imperialism meant support for any leader hostile to the US; including people like Saddam Hussein or Bashar al-Assad. For them, the enemy of our enemy by definition became a friend. Anti-imperialists did not always acknowledge other negative forces operating in the world aside from US imperialism. The romanticization of the Vietnamese resistance also led militants to overstate the revolutionary possibilities in 1960s and 70s America. Some resorted to violent methods that proved ineffective, isolating, and divisive for the movement as a whole. Though violence as a strategy, not as spontaneous outbursts, constituted a small part of the antiwar movement, it too often became the ‘issue’ and functioned to divert attention from the monumentally greater violence of imperial war. The parts of this tendency that identified with global Communism–a relatively small, but influential sector–had little understanding of that movement, weak grasp of the Sino-Soviet split, and were often ignorant of differences within Vietnamese Communism. Sometimes the result was a dumbed-down and sanitized Maoism. Their version of democratic centralism was rarely democratic. And they were often drawn into obscure sectarian struggles. The pacifist left tendency brought a solid grasp of the profound penetration of militarism in the US economy, its politics and culture. It offered a valuable overall critique of war and militarism. A. J. Muste and Dave Dellinger played unifying roles in an often-fractious movement. And militant pacifists like Dellinger forged a creative model of militant nonviolence that effectively expressed the depth of opposition to the war. But other pacifists enjoyed the role of the ‘good’ protestor as opposed to other less acceptable protestors, thereby dividing the movement and enabling an establishment critique, providing fodder for false equivalences between imperial violence and resistance to it. Pacifists could and did adopt a purer than thou attitude. It should have been possible to legitimize one’s own form of protest without delegitimizing other forms. Most significantly, the pacifist tendency was overwhelmingly white and middle class with insufficient connection to the powerful movements of people of color that had staked out clear and resonant positions against the war. This was not simply a question of coalition building, but of creating consistent, enduring relationships of trust. Another tendency consisting largely of dissident and liberal Democrats saw the war as a losing proposition damaging US credibility, draining treasure, destroying morale and national unity, not to mention increasing battlefield casualties. This is in part the perspective of the Burns/Novick effort. This tendency brought to light the war’s corrosive effect on democratic institutions: the expanding imperial Presidency, the impotence and irrelevance of Congress, and the repression of protest. Innovative forms of working ‘the system’ were created, that while often frustrating, pointed the way to a possible political revitalization. These movements led to some Congressional scrutiny of the war, LBJ’s abdication, McGovern’s nomination as the Democratic candidate in 1972 and Nixon’s impeachment; generally forcing politicians to openly deal with the war. But it proved unable to prevent Nixon’s election–allowing him to pose as a strange sort of stealth peace candidate—and didn’t achieve majority support in the Congress until very late in the war. It did not develop adequate means of holding politicians accountable. It both expanded the scope of mainstream politics and was simultaneously hemmed in by the establishment. Parts of this tendency also posed as a preferred, less radical alternative to the politics of the street. Finally its overly pragmatic strategy implied that the war was a correctible mistake, not requiring a fundamental overhaul of the national security state and its imperial goals. There are important parts of the movement that I have obviously so far ignored. The antiwar movement was a boost to the development of new creative and feisty women’s and queer liberation movements both by providing spaces for activism and then circumscribing these spaces because of the limits of iantiwar leaders’ consciousness of gender issues. So women and LGBTQ people were energized and then marginalized which simultaneously divided the movement and resulted in new organizational forms, including significant antiwar organization and action as well as a critique of military and movement macho. The level and sophistication of GI and veteran resistance was unprecedented. 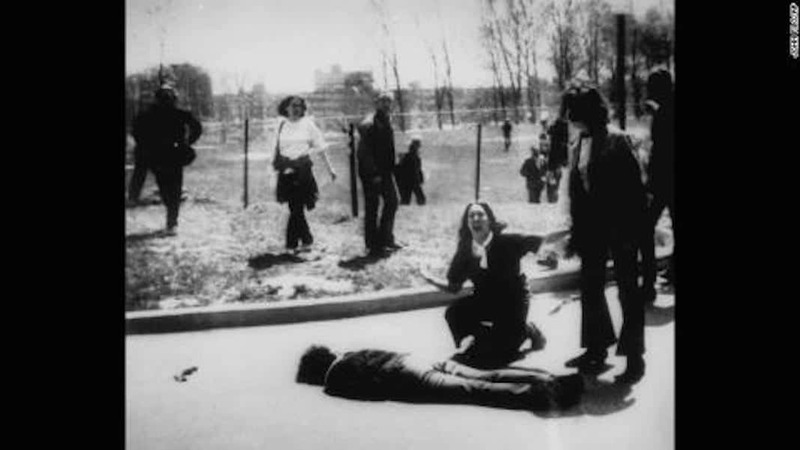 Dewey Canyon III in Washington DC in 1971, when veterans threw away their medals, brought the issue of the war’s immorality and pointlessness home and helped transform the public face of the antiwar movement from that of cowardly, spaced out hippies and unrealistic pacifists. Often left buried in the dustbin of history are efforts like the coffee house movement where civilians and soldiers collaborated in spreading the antiwar message. It would certainly be worthwhile to further explore what was learned about civilian/soldier relationships from this experience. After the war, the antiwar movement lost steam and direction in a sense succumbing to the fantasy that the end of the war allowed a return to normalcy without further consequence. We did not succeed in helping Americans come to terms with military defeat—to understand it as something positive for the American spirit. 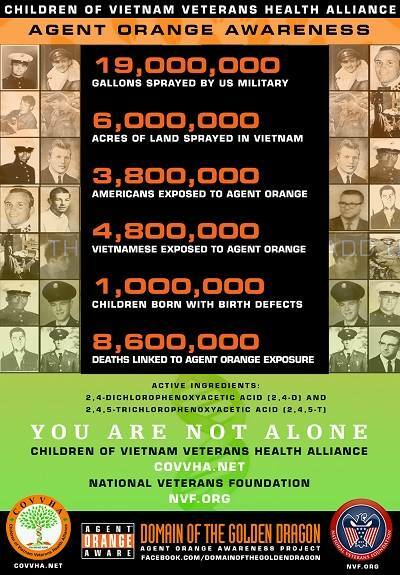 Vietnam was more isolated in the 1980s than during the American war as it invaded Cambodia to overthrow the genocidal Khmer Rouge regime and then fought off a Chinese invasion. 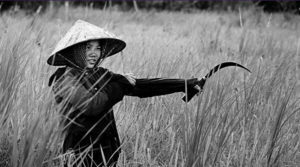 The Cold War framing of Southeast Asian conflict as part of a Soviet plot was reasserted by the US with little opposition from the remnants of the antiwar movement; the Maoist fringe, in line with Chinese policy, even supported the Khmer Rouge. There were brief upsurges of activity in response to Reagan’s Central America wars and before both Gulf wars, especially W’s 2003 war. Today there exists a barely perceptible antiwar movement. Its impotence allowed Donald Trump to play a bogus antiwar card during the 2016 campaign. 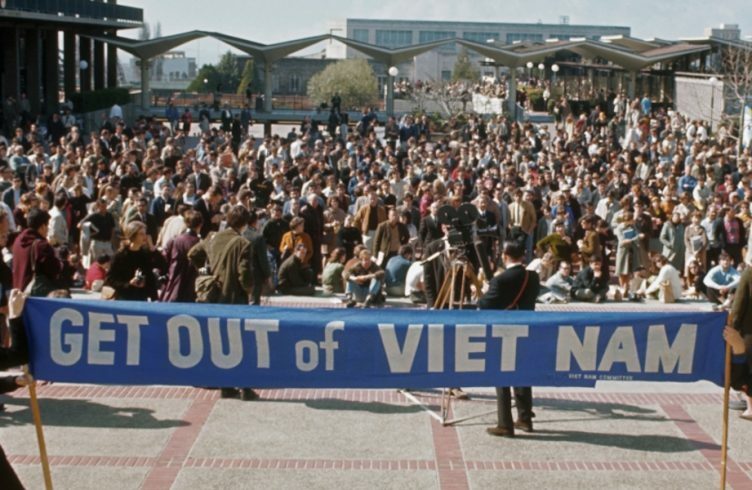 As antiwar activists we have allowed the myth—of which Burns/Novick partake—of the deep antagonism between the civilian antiwar movement and soldiers to penetrate American consciousness, including that of younger antiwar activists. I have met numerous young activists who take for granted that the antiwar movement typically spat at returning soldiers. We can credit Jerry Lembcke for Burns and Novick not further propounding that particular myth. They favor ’baby killers’. In any large, sprawling social movement almost any perspective can be found. Though I knew a few people who felt like targeting soldiers was legitimate; this was a quite marginal perspective in the antiwar movement. The same mythology led many of those opposed to the Gulf wars to so reassure the public that the movement was pro-soldier that they lost sight of the central task of any effective antiwar movement: projecting and humanizing the direct victims of the war in Iraq. It was a form of surrender to the prevailing Islamaphobia. As a movement, we have failed to adequately challenge the deleterious effects of imperial war on democratic institutions. ‘Forever war’ means permanent limitations on freedom and the right to protest and continuing intrusions on privacy. We haven’t been able to convincingly demonstrate to Americans the connection between successive wars; how the Iraq war increased sectarianism and chaos in the entire region, catalyzing the growth of groups like ISIS; how we are imprisoned by the terrible logic of war in which the next war is seen as a justifiable and necessary response to the failure of the previous one. Given this history, how might a more effective antiwar movement be constituted? First of all, we must acknowledge, embrace even, that maybe none of us in this room will be in leadership of this reconstitution. If we are together, we can offer perspective, some cautions, a necessary connection to past efforts. Multiracial forces already in motion will lead the new activist peace/antiwar movement. For instance, the M4BL highlights the militarization and racism of our criminal ‘justice’ system while connecting to global struggles of people of color. The immigration and refugee movements—with important experience in navigating cultural difference—has drawn attention to the connections between war, state violence, and population movement and alerted us to the role of racism and Islamaphobia in mobilizing and justifying aggressive wars. Environmental activists lead us to revalue the leadership of indigenous people as in Standing Rock; organizations like 350.org explicate the relationship between environmental degradation and wars and potential wars over natural resources, as well as leading to increased global migration. The new women’s and LGBTQ movements have led the way in expanding our consciousness of sexual violence in war and in the military. 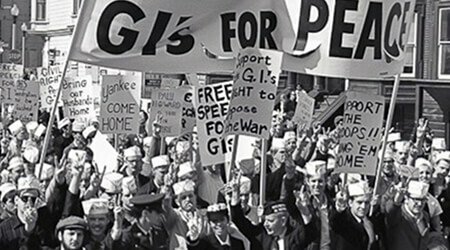 And even as the nature of war has changed, the voices of GIs and veterans remain vital. A new antiwar movement must be constituted and led by those forces which will both broaden and deepen the movement making evident the intersectionality of movements against oppression, white supremacy and militarism. We are living in a treacherous moment for our and other species. The impact of climate change imposes a fateful due date. The prevalence of nuclear weapons along with authoritarian leaders eager to demonstrate their macho add to the immediate peril. So a broad-based antiwar movement which challenges white and male supremacy and stands in support of oppressed people around the globe, from the Rohingya to the Palestinians, is an important part of a larger movement for social change; one that can navigate racial, class, gender, generational, ideological, spiritual and strategic and tactical differences is required. Absolute agreement is not required; rather a Zen-like mastery of the art of coordination, mutuality and solidarity is the order of the day. We don’t need one big organization but we do need accountable organizations with accountable leadership. Our movement must not be so ‘correct’ that it does not allow for experimentation and a diversity of tactics. The movement must strive for power as it creates an open and welcoming environment where, rather than being stigmatized or shamed for inevitable mistakes, activists can learn from them and grow with the movement. And we must make our case to ordinary people while still engaging in anti-racist and anti-sexist initiatives. The other side is driven by a mean-spirited white male nationalism that we must directly take on. There is a lot we have to do. We must work in establishment politics and reinvigorate democratic forms, fighting for meaningful reform; and at the same time (not necessarily the same people) be on the streets, loud and passionate. We must be militant, but smart and strategic about our militancy; keep the engine rev-ed but prevent it from veering off the tracks. Be moral and not moralistic, nor purer or more radical than thou. Connections are local and global, virtual and personal. Be forthright and sure-footed, but humble about our importance and correctness. Nothing less is required. My comments leave many questions unexplained and unanswered. My simple goal is not completeness or agreement but to both initiate and add to a discussion that will lead to more effective action. We sorely need some.